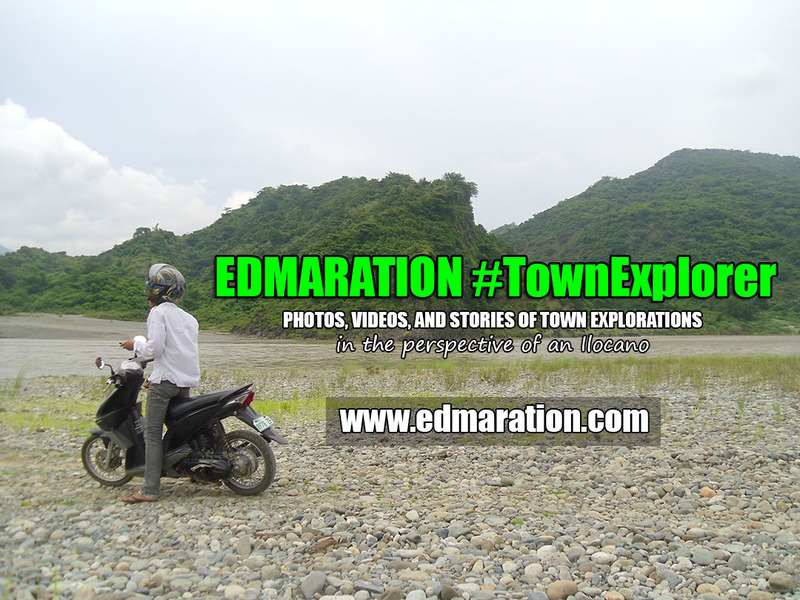 "Just imagine that, I was having a heritage tour without walking or riding. I just stayed at one place and just turned around for 360 degrees, it was already a heritage tour." I was silenced by the charm of the sorrounding structures. 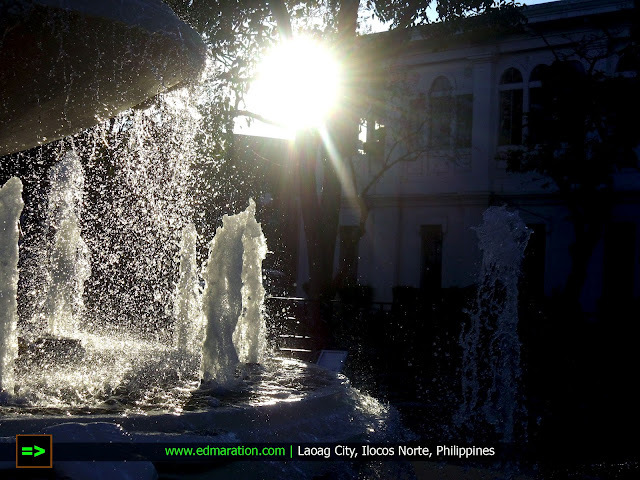 The sound of tricycles and many other vehicles that traverse the busy streets of downton Laoag were mainstays but the dramatic fountains and the walls of old buildings I was seeing 360 degrees from the middle of Aurora Park hypnotized me. That what makes Aurora Park special to me. Yes, could it be a usual park but the ambiance of the park consumed my soul. 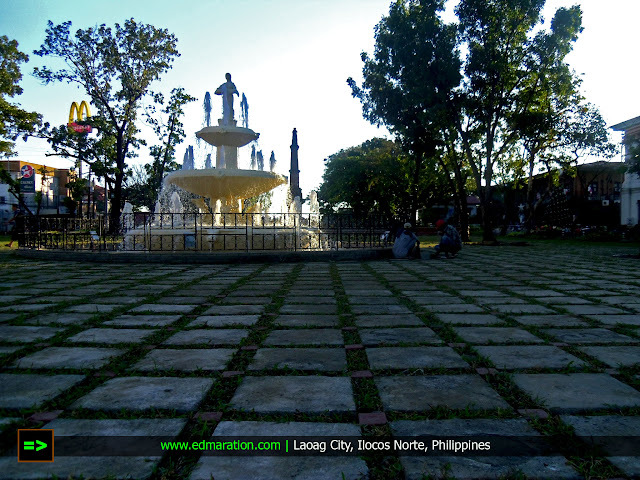 The old buildings of Laoag surrounded me and because of these things I was seeing that time, I became virtually deaf to hear the noisy trikes and just had to be amazed by the charming old buildings that surround Aurora Park. This is me, I love old buildings and old structures, valued or undervalued, famous or unknown, ruined or dilapidated, they occupy a space in my heart. That could be the reason why again, I turned to overact and over-emote in this post considering I'm just within a small and common park, lol! 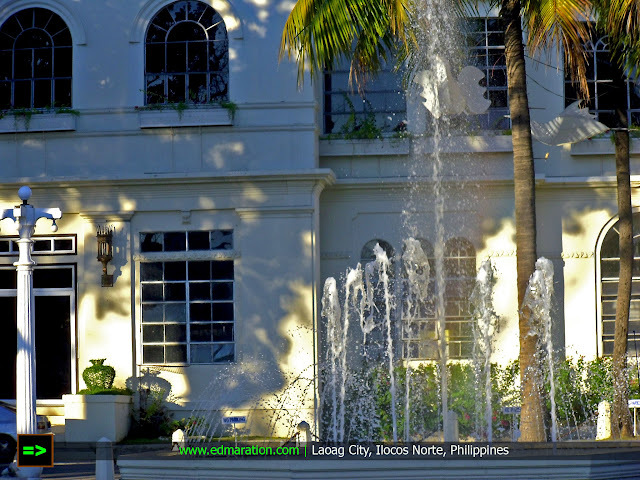 The simple fountains (simple is enough for me), the palms trees and the old buildings were present altogether for a perfect blend, as perfect as my favorite blend of coffee. I was seeing arched windows, old-fashioned lamps placed at the walls and the endless cycle of the fountains being pumped from below. 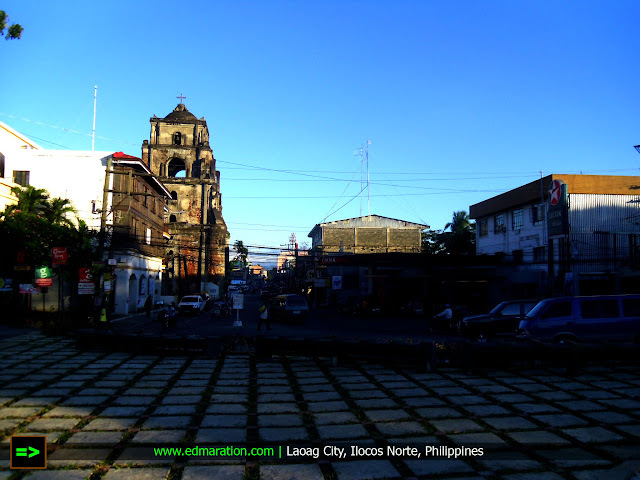 The view put a big smile on my face thinking about the effort of the people of Laoag in preserving these old structures. They are indeed living testaments of the past. Aurora Park was under refurnishing when I was here. I was able to see men-at-work at the park. At the middle of the park is a fountain. I was lucky enough that I was one of the first people to see the new fountain. The new fountain was under a "trial" that time because it was [newly built (?) or rebuilt (?)]. After few minutes, they have turned the pump that makes the fountain into shape off. Yes! I captured the scene before it was turned off! I was actually faced to the south and I saw two towers -- first is the Tobacco Monopoly Monument and second, the "golden arch." I Just scratched my head because McDonald's was also catching the attention of people leaving the Tobacco Monopoly Monument tower to sink. 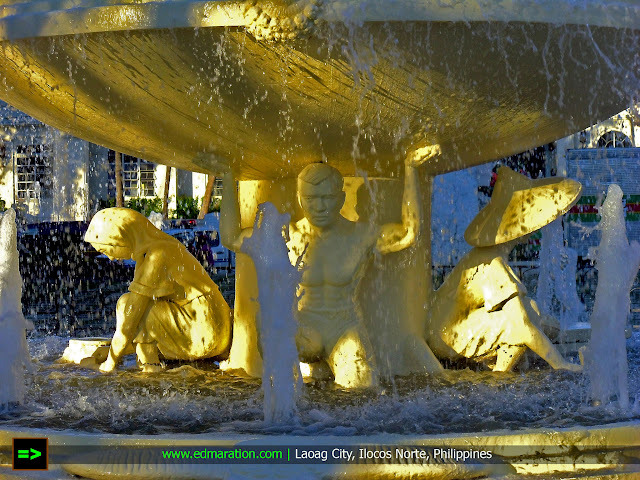 I went close to that fountain and I saw 3 life-sized sculptures depicting the industry and perseverance of the Ilocano people. I saw a man carrying the whole weight of this fountain and two women seemingly busy with their business. 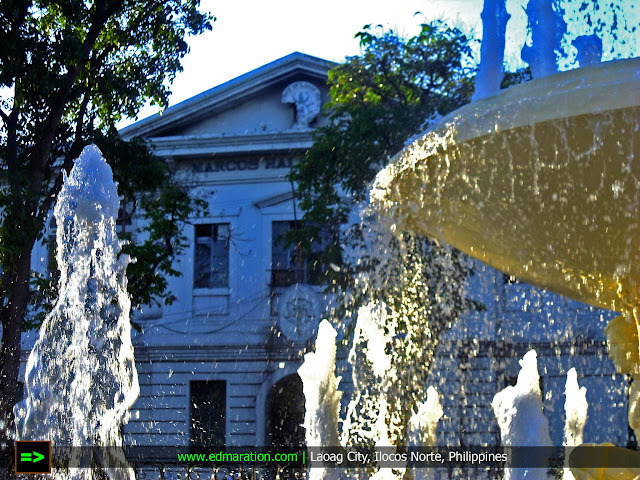 After facing to the south, I faced to the west and there I saw the Marcos Hall of Justice, another old structure that makes me smile. 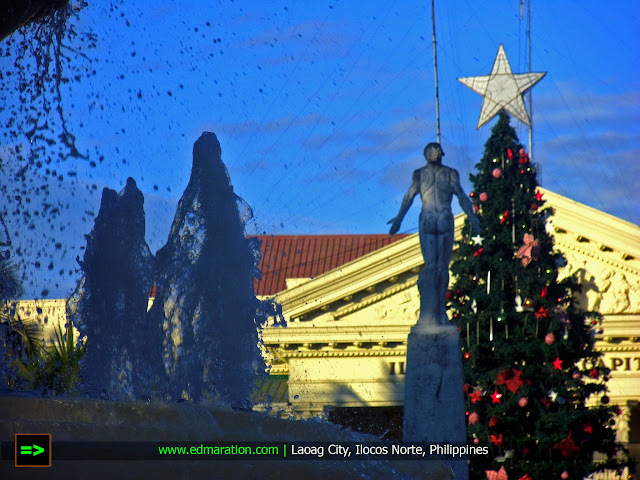 This Marcos country continues to bring her charm before me. At the east, I saw another tower and it is the sinking bell tower. I was truly surrounded by old buildings and structures this time. The sinking bell tower soars high with might and beauty. To the north, yes, you are seeing a giant Christmas tree. The reason is, I was here during December (2011) that's why there is a Christmas tree here. 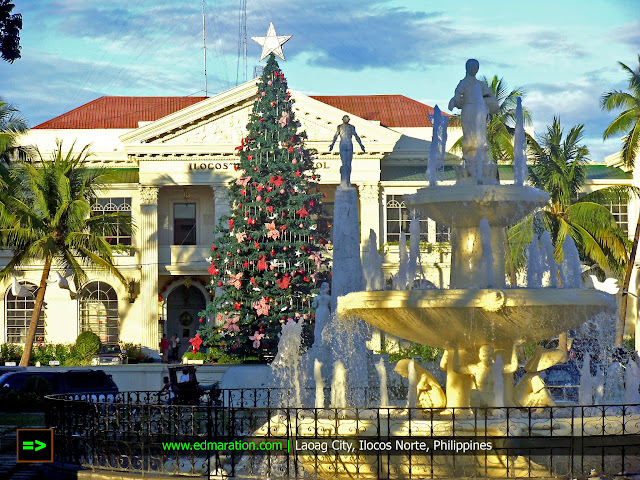 And of course to my north is the massive Ilocos Norte provincial capitol. This is my 15-minute experience at the middle of Aurora Park in 360 degrees. Just imagine that, I was having a heritage tour without walking or riding. I just stayed at one place and just turned around for 360 degrees, it was already a heritage tour. 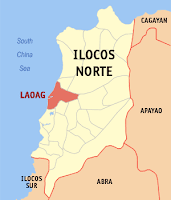 So whenever you'll visit Laoag, try this! The mere appreciation of these old structures can bring you back to life as what happened to me. My senses came into awakening by the beauty of those old buildings and with the fact that I didn't need to spend an energy, time and money for a heritage tour in Laoag because I was able to do it in one place -- effortlessly and simple. Sir ding. 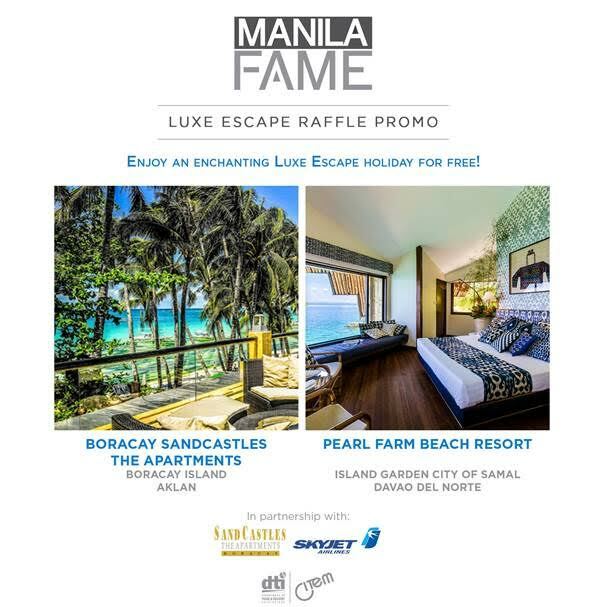 OO nga effective pala ang ganitong tour method, lol. Haha. Will do it again next time, ibang place naman. Hehe. 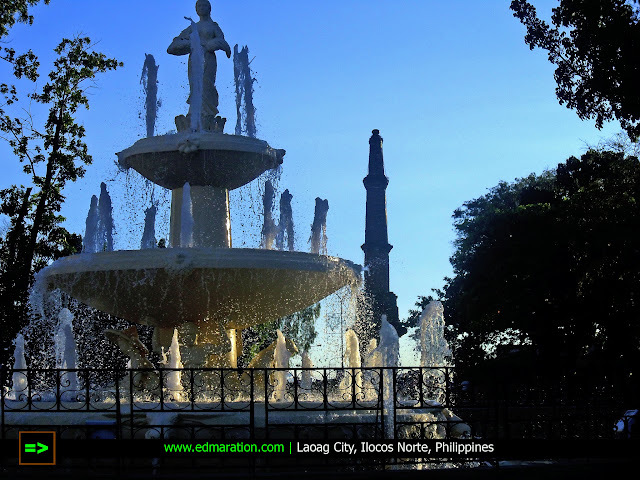 Kuya mervs,maganda rin kc ung location nya and indeed a good park.